At Sculpteo, we always strive to provide you the best customer experience and stand up to your expectations. 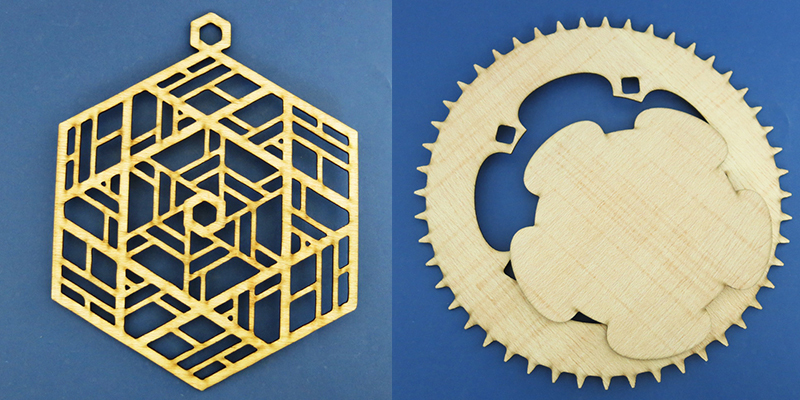 Not only we constantly update our 3D printing materials and 3D finishing options but also our Laser Cutting materials. Today we introduce two new additions in Laser Cutting materials that are available through our online Laser Cutting service. The first one is the MDF material of 2 mm thickness and the other one is a new Plywood material called “Ceiba wood”. Let’s go through these new materials together and see how they can meet your needs! Until now, MDF (Medium-Density Fibreboard) material was available in 3, 6, 8 and 10 mm thicknesses. 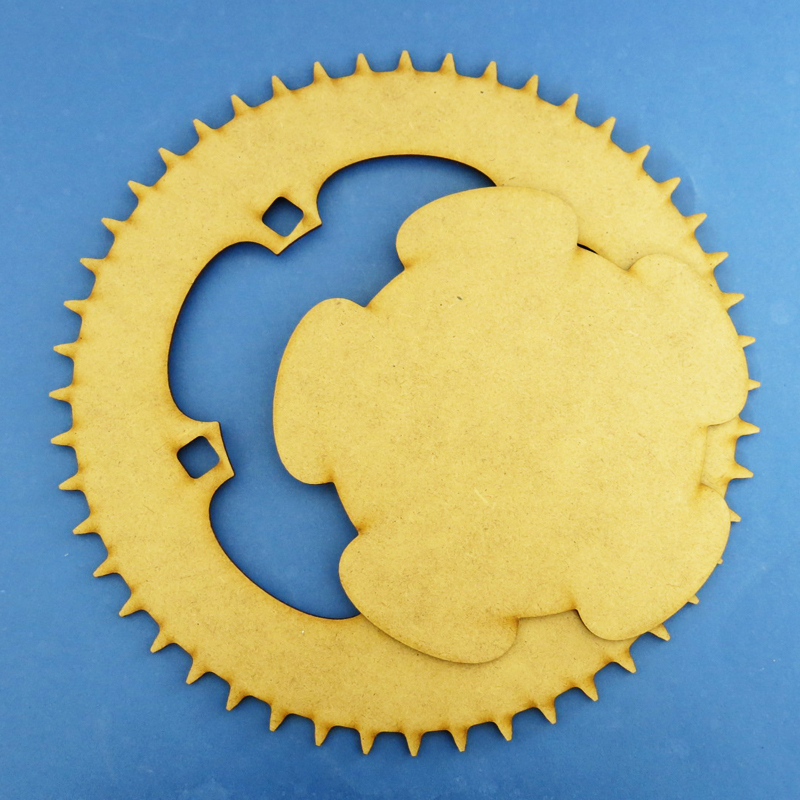 Starting today, you can order the thinner version of this Laser Cutting material: only 2 mm thick! For now, the 2 mm thickness is available only in the standard color. However, if you want to choose among the rest of our colors such as: black, grey, light grey, yellow, red or green you can use the 8 mm thickness MDF. MDF is an engineered wood product, that comes with many benefits for its users. It is isotropic (meaning that its properties are the same in all directions so it has no tendency to split), it is resistant and it is inexpensive. Last but not least, MDF has a fine texture surface that is perfectly suited for painting. 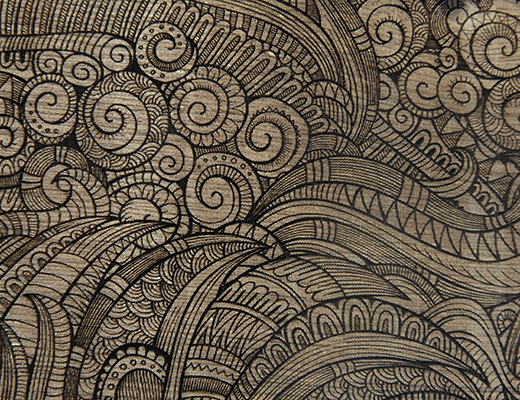 Ceiba Wood is a type of Plywood perfectly suitable for Laser Cutting purposes. Ceiba wood comes from an exotic wood and the color of the Laser Cutting sheet is light beige and bright, which you can see in the following pics. Ceiba wood is fragile and has quite low density, which makes it suitable for many applications. Thanks to its mechanical properties, it is perfectly adapted for the creation of different structures such as mock-ups of buildings and creation of furniture. It is also a well-suited laser cutting material for applications requiring flexibility, aesthetic beauty, water resistance and lightness. Ceiba Wood is Laser cut in the headquarters of our French factory, and it is available in 2 mm layer thickness. The maximum dimensions for Laser Cutting and Engraving with this material is 940 x 590 mm and the minimum is 15 x 15 mm. You can check more about the technical specifications for Laser Cutting with Ceiba Wood on this page. 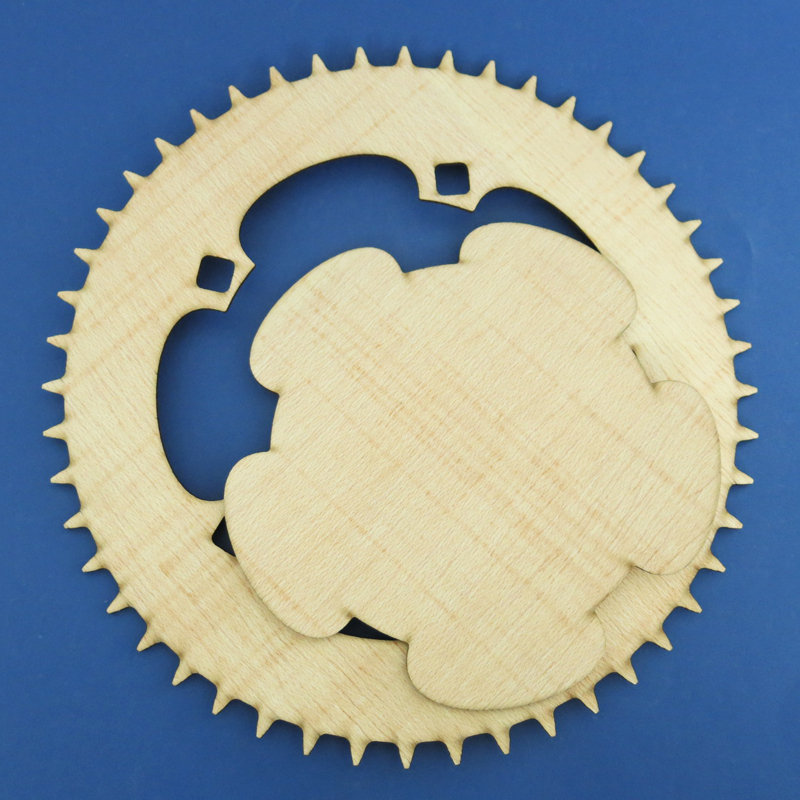 Plywood is a very common material used for Laser Cutting. It is very easy to use, as it can be worked like solid wood: it can be sawed, nailed, screwed and glued. Okoumé Plywood. It is a type of plywood that is Laser Cut in our French factory and it is available in 3 mm and 5 mm thicknesses. This Laser Cutting material comes from an exotic wood, so therefore it is slightly more expensive than the rest of our plywood materials. Okoumé comes in dark brown color and it can be used for many applications, such as models, small furniture, decorative objects and packaging. Poplar Plywood: Another type of plywood that is Laser Cut in our French factory and that is available in 3 mm and 5 mm thicknesses. Poplar is very light beige in color and is such a soft wood that it shows markings at the slightest stroke. Thus, it is used for applications such as modeling, small furniture and creation of decorative objects. Moreover, it is more sensitive to moisture than Okoumé is. 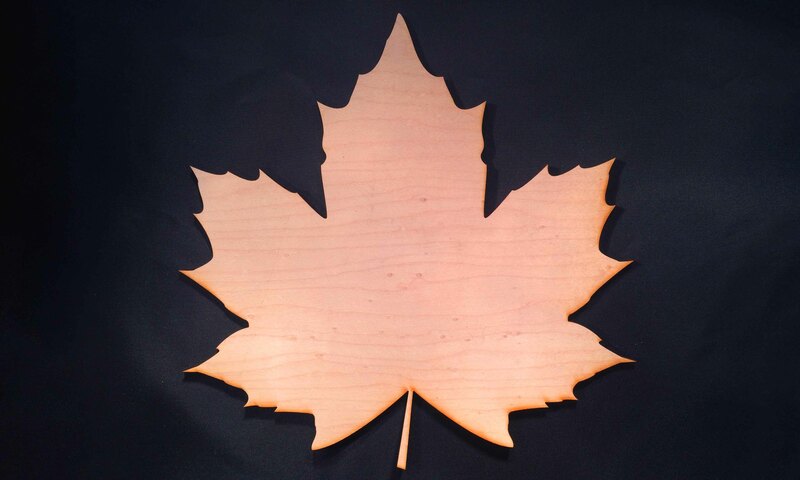 Maple Plywood: Maple is a type of plywood that is Laser Cut only in our American factory and it is available in ⅛ inches thickness. As you can see from the picture below, it has a slightly pink color, and can find application in many fields, from decoration to engineering projects. 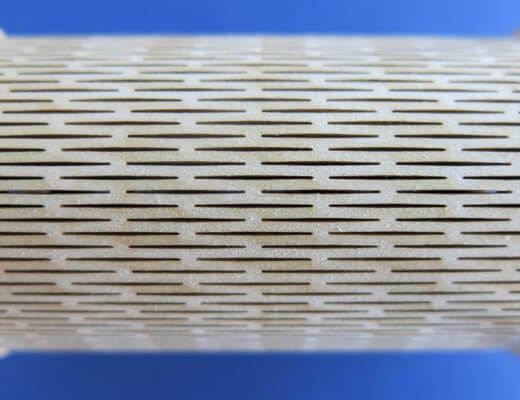 Alternative solutions to MDF and Plywood Laser Cutting materials could be Cardboard material, which has the same origin as regular paper. In addition, you can check out our plastic materials for Laser Cutting, which include Acrylic that comes in a variety of 17 available colors and 5 different available thicknesses. Moreover, you can also choose our recently launched POM material. 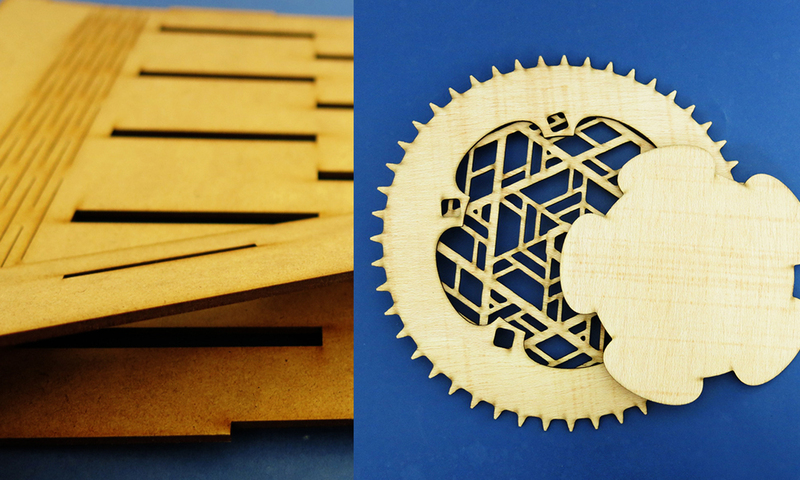 POM Laser Cutting material comes in 2 available colors: natural white and black. Are you excited about trying our new thickness of MDF material and our new Ceiba Wood? You can start by uploading your file on our platform, and we will deliver you the parts!